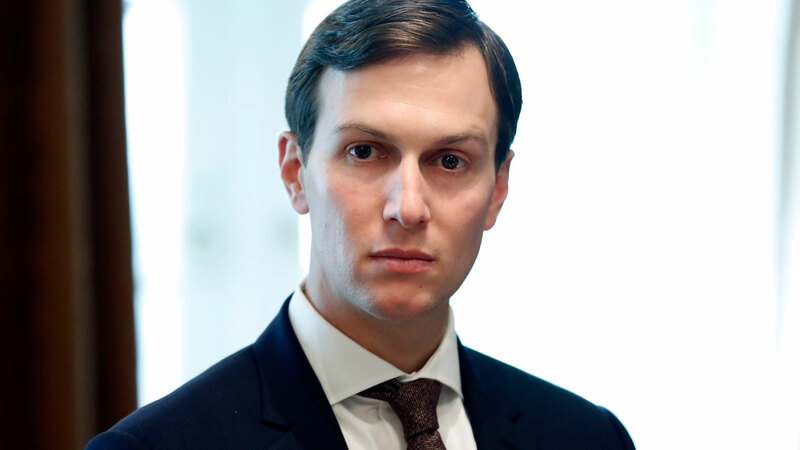 WASHINGTON -- Jared Kushner has turned over documents in recent weeks to special counsel Robert Mueller as investigators have begun asking in witness interviews about Kushner's role in the firing of FBI Director James Comey, CNN has learned. Mueller's investigators have expressed interest in Kushner, President Donald Trump's son-in-law and a White House senior adviser, as part of its probe into Russian meddling, including potential obstruction of justice in Comey's firing, sources familiar with the matter said. Their questions about Kushner signal that Mueller's investigators are reaching the President's inner circle and have extended beyond the 2016 campaign to actions taken at the White House by high-level officials. It is not clear how Kushner's advice to the President might relate to the overall Russia investigation or potential obstruction of justice. Sources close to the White House say that based on their knowledge, Kushner is not a target of the investigation. Kushner voluntarily turned over documents he had from the campaign and the transition, and these related to any contacts with Russia, according to a source familiar with the matter. The documents are similar to the ones Kushner gave to congressional investigators. Two separate sources told CNN that investigators have asked other witnesses about Kushner's role in firing Comey. Investigators have also asked about how a statement was issued in the name of Donald Trump Jr. regarding a Trump Tower meeting and about the circumstances surrounding the departures of other White House aides, according to one source. Kushner attended the June 2016 meeting at Trump Tower between top Trump campaign officials and a cadre of Russian figures, including some with links to the Kremlin. It was arranged after Trump Jr. was told that the Russian government wanted to pass along damaging information about Democratic presidential nominee Hillary Clinton as part of its pro-Trump efforts. The meeting was also attended by Paul Manafort, who was Trump's campaign chairman. A White House official said the Mueller team's questions about Kushner are not a surprise, and that Kushner would be among a list of people who investigators would be asking about. A lawyer for Kushner did not comment. The White House declined to comment. Special counsel spokesman Peter Carr also declined to comment. The question of whether -- or just how much -- Kushner influenced the President's decision to fire Comey is a matter of dispute among those in Trump's orbit. White House sources say it was the President alone who made that decision after watching Comey's congressional testimony May 3. While Kushner and those close to the White House will only say he was in favor of the decision -- or, in the words of one attorney, "did not oppose it" -- there are multiple sources who say that Kushner was a driver of the decision and expected it would be a political boon for the President. Why Kushner would want Comey fired also remains a matter of dispute. Some people close to the White House believe it simply reflected a political neophyte wanting to get rid of a presidential enemy without understanding the ramifications, or a son-in-law trying to please his father-in-law and boss. One theory promoted by those in the anti-Kushner camp is that Kushner did not want Comey to comb through his own personal finances, and this was a way to slow down any investigation. The disclosures follow the indictments this week of Manafort and his longtime business partner and Trump campaign deputy, Rick Gates. Both pleaded not guilty. Former Trump campaign foreign policy adviser George Papadopoulos has pleaded guilty for making a false statement to the FBI about contacts with people connected with the Russian government. Even before Mueller took over, the FBI had been looking at Kushner's multiple roles on both the Trump campaign and the Trump transition team. The 2016 Trump Tower meeting, in addition to sessions with Russia's ambassador and a Russian banker, were left off Kushner's security clearance forms, which had to be revised multiple times. Other points of focus that pertain to Kushner include the Trump campaign's 2016 data analytics operation, his relationship with former national security adviser Michael Flynn and Kushner's own contacts with Russians, according to sources briefed on the probe.